Special 14 pages on Land Speed Record cars! 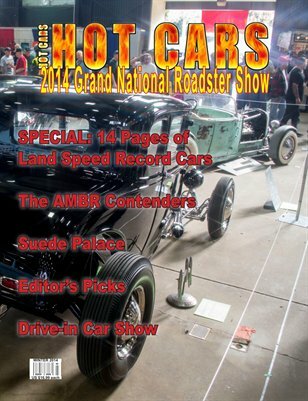 A special look at ALL the AMBR contenders, stories on the Madusa RPU, and a special side by side look at a barn find '32 roadster and a modern street rod roadster. A chapter on the drive-in car show. The section on the 'Suede Palace' is worth the admission fee for this one-of-a-kind pictorial on the grand daddy of all car shows. Other magazine run maybe four our six pages of coverage, our special pictorial issue is 60+ pages in full color!